This unique sourcebook explores the Stab-in-the-Back myth that developed in Germany in the wake of World War One, analyzing its role in the end of the Weimar Republic and its impact on the Nazi regime that followed. A critical development in modern German and even European history that has received relatively little coverage until now, the Stab-in-the-Back Myth was an attempt by the German military, nationalists and anti-Semites to explain how the German war effort collapsed in November 1918 along with the German Empire. It purported that the German army did not lose the First World War but were betrayed by the civilians on the home front and the democratic politicians who had surrendered. The myth was one of the foundation myths of National Socialism, at times influencing Nazi behaviour in the 1930s and later their conduct in the Second World War. 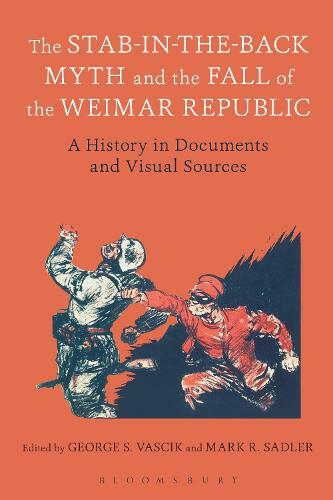 The Stab-in-the-Back Myth and the Fall of the Weimar Republic draws on German government records, foreign and domestic newspaper accounts, diplomatic reports, diary entries and letters to provide different national and political perspectives on the issue. The sourcebook also includes chapter summaries, study questions, and further reading lists, in addition to numerous visual sources and a range of maps, charts, tables and graphs. This is a vital text for all students looking at the history of the Weimar Republic, the legacy of the First World War and Germany in the 20th century.